MND is about getting back to nature, getting back into the natural rhythm of life. MND encourages you to try to eliminate these 3 core problems from your life as much as possible. I don’t consider myself a part of the paleo-fantasy crowd, I am not a paleo-skeptic, but I am a paleo-realist, and I do NOT promote MND as a pure paleo diet. MND is a Natural lifestyle, it’s a lot more than just a weight-loss diet. The simple truth is, the Paleolithic era is over, and for that matter so is the Neolithic. They have gone, and the world we live in now just IS radically different. We can’t BE caveman, his world is gone, we can’t live ‘just like he did’ or eat ‘just what he ate’ because this world now is different – the air has changed, the climate has changed, the land has changed, the soil has changed, the water has changed, the animals are different…WE are different. The plants that grow in that soil are different. The animals also breathe the changed air, drink the changed water, eat the changed food and live differently. Nothing edible on Earth today, is the same as it was 50,000 or 100,000 years ago. I love reading and learning about how our ancestors lived and how we evolved, but how relevant is any of that right now? What I care about, most passionately, is trying to distil everything I have learned down to a handful of good advice that I can share with literally millions of people, who urgently need help right now, to change their future, to stop eating themselves to death, and to stop feeding crap to their kids. It seems to me that perhaps eating grains and dairy are not the absolute WORST thing we have been doing. For many people, eating dairy and grains leads to sub-optimal health, but there are WORSE things in our food supply that should be a bigger and more pressing concern. MotherNaturesDiet has 12 Core Principles – only 2 tell you what you SHOULD eat, 4 of those core principles tell you what NOT to eat. There is a clue in the ration – it is twice as important to get the poison and crap out of your diet as it is to start eating the healthier choices. Eliminating the poisons – especially refined sugar and chemicals – should be your #1 priority. The Paleolithic Era is long gone, it’s barely realistic or relevant to look back that far, but looking back to Pre-Industrial times would solve many of our biggest health problems today. I think the clues to finding the answers to ALL this lie in the INDUSTRIAL revolution, not the agricultural revolution. Before mechanization, we ate grains but not in such vast quantities, and not so heavily processed, and it took a considerable amount of effort (expended calories) to gather and prepare those grains in order for us to eat them. The industrialization of farming and food manufacture has taken VAST amounts of refined grain, HIGHLY refined, to the entire human population, cheaply. So 2000 years ago, when women sat cross legged in India baking flat breads all day, we didn’t have an obesity epidemic. Total calories consumed were lower; bread, rice and potatoes were ‘the food of the poor’ for centuries; and in many ways they still are – cheap grains still form the bulk of the diet consumed by the poor. But now we have rich westerners buying bags of refined white pasta, and cheap white bread rolls by the bag load. It requires zero calories of effort to obtain thousands of calories of cheap bulky refined grain products…it’s mostly been bleached and de-natured, so it has been stripped of what little nutrition it had, and what’s left are just hollow calories. Carbs per se are not the evil enemy, it’s what we have done to them in the last 250 years that has really screwed things up. Introduction of mechanization into farming and food production, meat packing, etc. Growing, farming and distributing our food used to employ between 50% and 80% of the working population of the human race. Prior to the Industrial Revolution, ‘most’ working age humans, were involved in feeding our species. Even with horses, ox or buffalo to pull our ploughs, people still had to man-handle the animals. People worked outside, in the fresh air, burning calories hauling hay bales, pulling up weeds, digging vegetables and scything down grain. People worked, physically, in return for clean food, free from chemical additives. The human race expended billions of calories, to grow or farm billions of calories. But the Industrial Revolution reversed that, and in the industrialized nations, now, less than 10% of people work in farming. And then, even worse, the Green Revolution exacerbated chemical use. Now, we live in a world where a handful of people and a vast array of machines, expend very few calories yet produce trillions of calories of food for billions of people. Additives, fertilizer, pesticides, herbicides, fungicides, all the chemicals in our food – stabilizers, preservatives, synthetic colourings, flavourings, and so on. Artificial fertilizer is made from oil, and constitutes the second largest use of crude oil on the planet after transportation. The chemicals our food is grown in, and many of the chemicals sprayed on our food, are made from oil. This worries me greatly. We have all seen the TV news reports of birds and fish caught in oil spills, choking and dying, suffocating in oil. Are we eating oil every day in the modern food supply? The human population explosion. The human population was 1 billion in 1804, 2 billion in 1927. The explosion to 7 billion is a post-industrial phenomenon, only possible because of industrial scale agriculture (the global carbohydrate economy) and food production. The industrial revolution has enabled humans to over-populate the planet. The way Mother Nature designed planet earth, she balanced the bio-mass of every life form with the energy available to sustain that life form. So, as an example (numbers are purely hypothetical), if the total combined bio-mass of all the worlds gazelles makes up 1% of all the living bio-mass on earth, then it requires approximately 1% of the suns total energy striking earth, to sustain that bio-mass, I.E. to grow enough grass and plants to sustain the gazelle population. The same equation is true for slugs, Baobab trees, Horse Chestnut trees, chimpanzees, alligators and Humpback Whales. All living things live within this ratio…except humans, who have now grown to exceed their share of the suns energy. So now, it takes a larger proportion of the suns energy striking Earth to grow enough food to feed human beings. Humans now take approximately 40% of the suns energy striking the Earth, to grow the food to feed us, and to provide our energy needs. Humans do not make up anything close to 40% of the total biological matter on the planet. YOU do the maths, it leads to one inevitable conclusion, and it is called UN-SUSTAINABLE. Given enough time, we will wipe out the bulk of life on Earth in a few hundred years’ time, when our population exceeds 20 billion or 30 billion, by which time we will have pushed most other species to extinction, unless we can create synthetic foods – but even they require some form of raw material, and once oil runs out, what will we use? Sea water? Topsoil? But pay attention, because this is important. Mother Nature won’t care…in the overall time frame of life on earth, we are not that big a deal. Earth is 4.5 billion years old, and has another billion years yet to live, before the sun swells dramatically in size and fries this planet to a crisp. Humans have only been alive for a miniscule amount of time – not even a tenth of a percent of the total time of animal life on Earth. Dinosaurs wandered this planet continuously for 250 million years, and we have not even been alive for a million years yet, so we are a baby species by Mother Natures standards. Mother Nature had dinosaurs before us and lost them, and rebuilt everything we know today. She is pretty tough and pretty smart. So don’t trip out this crap about saving the planet. It’s US that we should try to save. It’s US (and a few species of animals, sadly) that we are destroying. We will come and go and then she’ll fix the place up once we have left. If you step back and watch Earth from the moon for a few tens of thousands of years, humanity acts like a cancer on the planet, consuming its own host until the whole organism eats itself up and dies. The agricultural revolution was the point in Hominin evolution (the last 7 million years on Earth) which made the most significant changes to the ways humans live on Earth. We stopped hunting and gathering, put down roots and started domesticating plants and animals. Everything else stems from this change – roads, vehicles, infrastructure, towns, cities, armies, governments, money, society, borders, boundaries, trains planes and automobiles, it all came from agriculture. However, the industrial revolution marks the greatest SUDDEN change in what humans eat, and in the other environmental conditions to which we expose our bodies. All of these things have only come about SINCE the industrial revolution. These things constitute the greatest changes to ‘what goes IN to a human body’ ever, at any time over the last 7 million years. So hanging our hat on the paleo peg is perhaps somewhat misguided. Sure, I DO believe that we are not supposed to eat grains…in their natural form they are completely indigestible (cellulose, they are members of the grass family) and so they require a lot of grinding and mixing to make something edible. We ‘can’ eat some grain, but not too much, and it should not be refined and processed. And I do think that people should only eat those ‘pure-burnable-sugar-calories’ if you are active and physical and going to burn them off. I also know from my own experience, that all modern, processed, refined grains and sugar, are to be avoided if you want to lose weight and regulate your energy levels throughout the day. Those processed grain products (cereals, bread, pasta) are nutritionally dead unless pumped up with synthetic nutrient additives, they are usually loaded with salt and sugar, otherwise they taste awful, and they are delivered as an intense burst of sugar, triggering an undesirable insulin response. All in, processed grains and sugars should be avoided. BUT, a little natural carb, even the occasional burst of if (whole, not refined) is acceptable. Hence, unlike the pure paleo crowd, MotherNaturesDiet is more relaxed about enjoying the odd potato or the occasional bowl of organic whole oats, or the odd serving of quinoa or an occasional corn-on-the-cob. The true ‘villains’ of modern health are chemicals, comfort, apathy, and our distance from Mother Nature, our self-imposed removal from the Natural world. Are we not an animal, a part of the natural world? We talk about the ‘Human world’ and the ‘Natural world’, ‘Human health’ and ‘Animal health’ as if they are separate things. Are humans not animals? Were we not created by Mother Nature the same as every other animal on this beautiful planet? Our separation from our natural origins, will be our demise. MND is not a ‘paleo’ diet, it is a ‘natural’ lifestyle, that’s why it’s called MotherNaturesDiet. We can’t BE caveman, we can’t go BACK to living on Earth as it was in the Paleolithic or Neolithic period, instead we have to live healthily NOW on earth as it is today. And there are too many of us, so we face some pretty major challenges surviving in the long term. As this is already an insanely long post, here and now is not the time to get involved in a discussion of the long term survival of humankind – that discussion revolves more around politics, economics, religion, wealth distribution and power, and deserves an entire book (or several) on its own. It’s not about ‘living paleo’. Please understand, I think the paleo diet movement is probably the healthiest way to live in the world today, and this post is not an attack on ANY of the originators or well-known authors in the paleo movement, I greatly admire and respect Loren Cordain, Mark Sisson, Robb Wolff and all the others. I wholly support the bulk of the science and logic behind a paleo lifestyle. But the truth is, we can’t BE caveman, we can’t be LIKE caveman…we can only LEARN from history and then work out how to ADAPT to live on Earth NOW. We must understand that the biggest mistake humanity has made is that we have distanced ourselves from all-things-natural, our separation between the Human world and Mother Nature’s world will kill us all, and we must understand this, and change and try to live in ways that make the most of what good nutrition remains, while trying to re-balance our lives in more natural ways. MotherNaturesDiet offers 12 Core Principles to try to help us achieve this re-balancing. MND is not trying to be all things to all people. The correct use of the word ‘diet’, means ‘the sum total of the things we eat’. 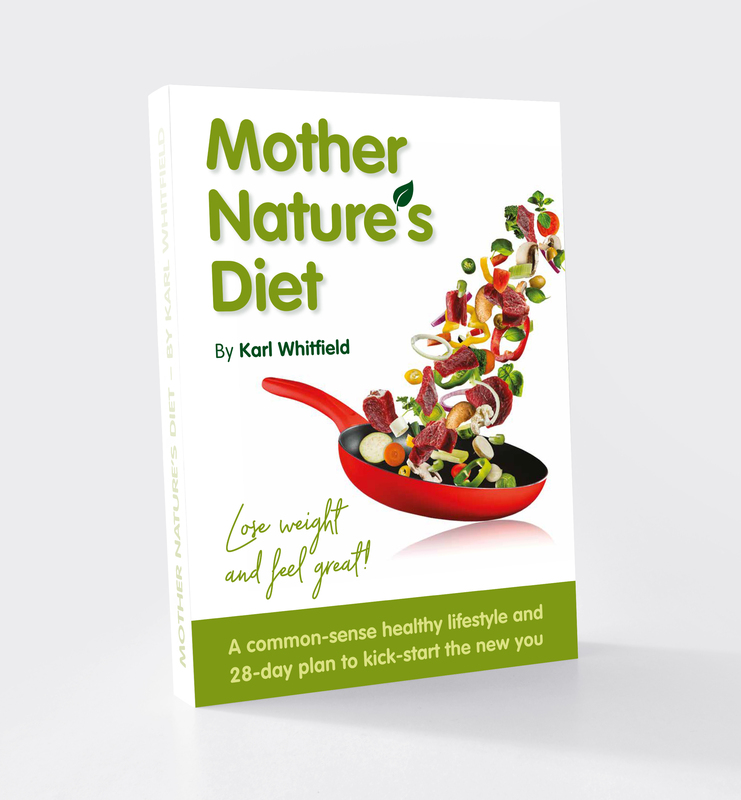 The common usage of the word, meaning ‘a temporary change to eating habits in order to effect weight loss’ is not how ‘Diet’ is used in MotherNaturesDiet. We all ‘have a diet’, so we are all ‘on a diet’ and for everyone one of us, it differs slightly. There can be no single diet that can be all things to all people. Worldwide, roughly one third of people have evolved dairy tolerance, and roughly half have evolved gluten tolerance. We ARE changing, but it takes thousands of years, and we will all be obese and sick in just hundreds if we don’t change our diet now. MND is an umbrella, an over-riding set of core principles, and in time I will break out diverse pathways for individuals in certain categories: obese needing to lose weight, follow this path; Fit wanting to be ultra-fit, follow this path; Diabetics follow another path; Those looking to avoid or combat cancer, follow another path; and so on. But right now, MND offers a top-level program, it is a healthy lifestyle path for healthy people who don’t just want to survive, but who want to thrive and maximise their good health and enjoy SUPREME good health in every way…disease prevention, anti-aging, longevity, sexual health, abundant energy. MND is way more than ‘just another weight loss plan’. We include care for the planet, animal welfare and much more. MNDs 12 Core Principles are carefully laid out to help reduce all the major problems highlighted in this blog post. Reducing the consumption of processed and refined grains; eliminating the consumption of refined white sugar; eliminating the consumption of processed food that contains artificial additives, chemicals and sweeteners, reducing the constant low-level stress we all live with; and eliminating the addictions and poisons such as nicotine, alcohol, caffeine, pollution, radiation, TV, etc. MND suggests a way of life that may not be 100% perfect, but it is realistic, achievable, sustainable. While some other healthy living concepts may be closer to perfect, MND is something tens of millions of ordinary people CAN DO, it is real, not too complex, it’s genuinely achievable for ordinary people, with costing the Earth. Sure, caveman didn’t do yoga – but he moved a lot more, sat down a lot less, kept his body nimble and flexible, and had far less low-level stress. Sure, caveman often died young, but not because of degenerative disease. In earlier times, life expectancy was brought down by incredibly high infant mortality rates; infectious disease caused by living, eating and drinking down in the dirt…down where humans and all other animals urinated and defecated daily; it was from physical accidents; attacks from predators and other humans; conflict; tropical biting insects, etc. MotherNaturesDiet and The Pre-Industrial Diet are one and the same thing. It’s all down to the basic core values: Avoid refined sugar, processed food, refined grains, an abundance of starchy food, chemicals, additives, preservatives and sweeteners. Eliminate the poisons and addictions. Exercise more, watch less TV, sit down less, move more often, get more fresh air and exercise. Get outside more often, enjoy nature, walk on the hills, walk in the woods, take time to enjoy green and natural places. Stress less, pay off your debts, love your friends and family and hug more often, shout less, don’t hate anyone, turn off and read a book more often. The reason all the kinds of different ‘diets’ seem to work for ‘some’ people, is because the one thing they all have in common – raw food diet, juicing diet, vegan, fasting, fruitarian, Atkins, Dukan, paleo – they all cut out the crap, the burgers and candy and white refined carbs, they ditch sugar and massively reduce chemicals. Atkins and similar worked because it cut out carbs, people lost weight but they were not HEALTHY. All these diets and healthy living systems work, for ‘some’ people, but rarely for everyone….what works is cutting out the white refined sugar, white refined carbs, white refined fats, heavily processed food, chemical-laden processed foods, and most people ‘on a diet’ reduce or restrict overall calories, hence stopping the chronic over-eating. That’s really it. Secret revealed, magic formula…eat less, avoid the crap, get some exercise…leads to results for most people. Now MND just builds on that and takes it all a little further, advocating a little less TV and a few more walks out in nature’s wonderland. To find the answers, we do not need to go all the way back to the PALEOLITHIC period, the answers are all around us, in MOTHER NATURE. To stop the obesity, to reverse the disease trends, to slow population growth, we just need to get back in harmony with Mother Nature and all things natural. Thanks for getting through all 3 parts of this long post, well done for sticking it out and I hope you found it interesting. I very much welcome any comments and questions arising from this post. ← Paleo-Reality Part 2: Introducing The PI Diet – The Pre-Industrial Diet. Hi Karl. It’s Tom from The Sustainabilitist again. For the record, we are simply a group of research bloggers trying to put the burdens of Earth onto our shoulders. I went through this entire series, which took me a bit of time. I believe that the bulk of your argument is pretty spot on. While the writing flows organically, it’s pretty sloppy and long. From our part, we definitely count your efforts as a contribution to the Ancestral Health Movement. This Paleo term is getting obsolete, and you’re not the only one to notice it. And you’re definitely not the only one to shift from Paleo DIet to Real Food Diet. For example, the Latest In Paleo podcast elaborates on many of your ideas. The emphasis on Industrial Revolution is definitely long awaited, however, we shouldn’t be tossing out the impact of Agricultural Revolution either. For example, the Industrial Revolution cannot explain the gradual loss of nutrient density in density due to artificial selection. The idea is that even the environment has changed, some evolutionary clues can still be very relevant in practices. We want to learn from our past — both the good and the bad. So equating MND with PI is probably a bad start. On the note of gluten and lactose intolerance, it’s not because we evolve to be intolerant. A most plausible hypothesis is that we were not exposed to higher concentration of gluten/lactose in our grain/dairy. What we have learnt in the most recent years is that integral grain (e.g., grain with intact bran and germ) are naturally low in gluten, and that denaturing grain prevents the natural breakdown of gluten from happening. A similar scenario applies to raw milk, which contains an enzyme that naturally breaks down the lactose. This is of course in favour of your argument, because if that were the case, then intolerance would be caused by certain food processings which can be more keenly related to mechanization – hence somewhat related to industrialization, and not the paleolithic era. It strikes us as weird to name MND as a lifestyle. First, you seem to be shifting your romantisation from cavemen to nature. Second, this diet, if it is one, is excessively broad that it’s hard to distinguish it from the advice given by the enlightened mainstream. As always, while your writing is very informative, a huge chunk of your claims, while common-sensical, either lacks evidence or are hard to substantiate. Of course, we understand that we are pushing you a bit (because we are trained in science), but if you were to write a book, you really have a lot work to catch up. Thanks for the long critique. Do you have a Bio page? I’m intrigued who “we are simply a group of research bloggers – because we are trained in science” really are? What sciences are you qualified in, how many of you are there? I’ll get back to you on these other points ASAP.